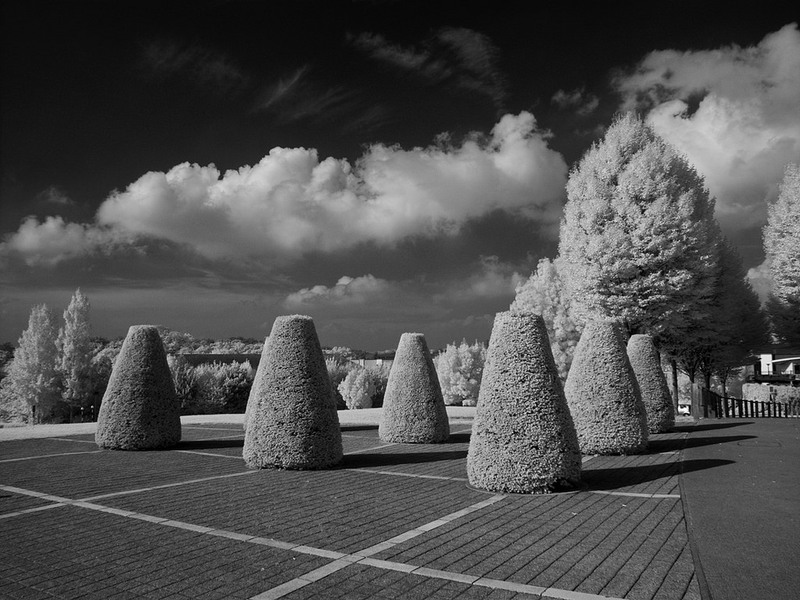 I’ve recently taken a few pictures with my infrared converted Canon Powershot G10 so I thought I’d talk a bit about IR photography today. 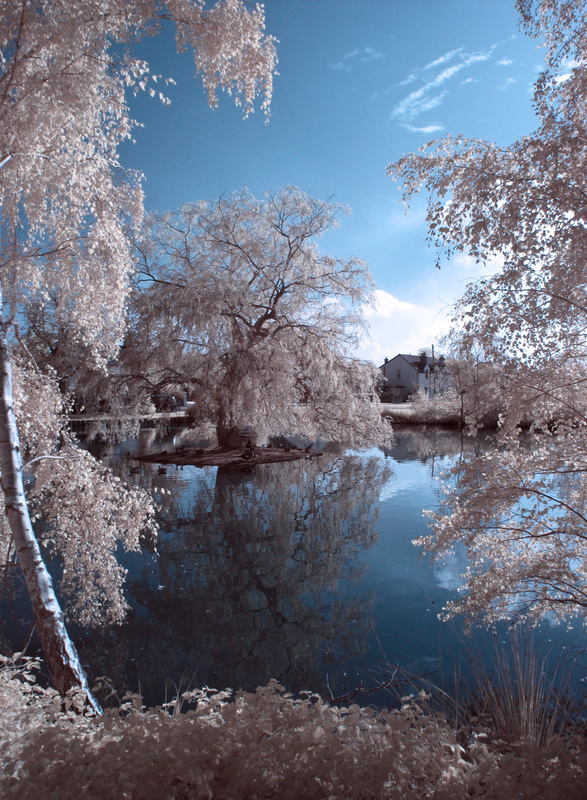 Taking IR pictures is possible with a regular DSLR using an IR filter on the end of your lens but it requires very long shutter speeds to achieve results. This is because your camera sensor has an IR blocking filter that manages to achieve >95% removal. 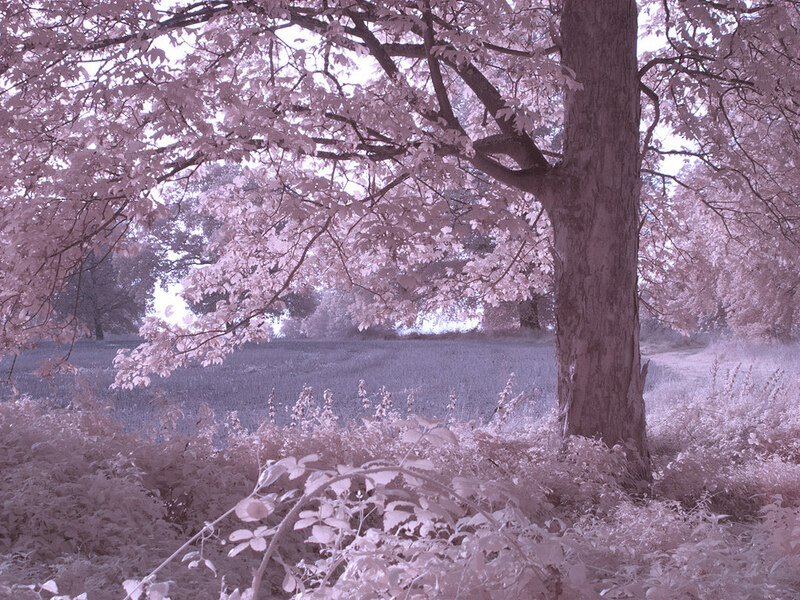 When you add an IR filter to the front of your camera, this blocks all light except Infrared but since your sensor only registers a small amount you need a looooooooonnnnngggg exposure to get enough light into the scene. My old Canon Powershot G10 was sitting in a drawer not being used, and so I decided to have it professionally converted to IR by these wonderful people. They take the camera apart remove the hot mirror filter and replace it with a different filter so that you can detect infra-red. 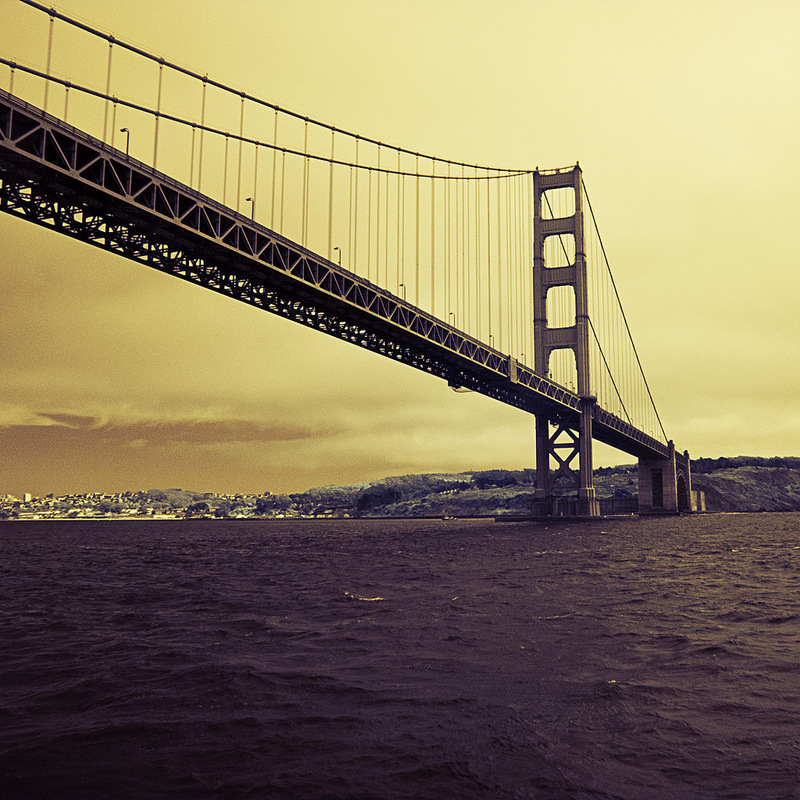 Depending on the type of images you want to create, they can install a filter of the correct wavelength. 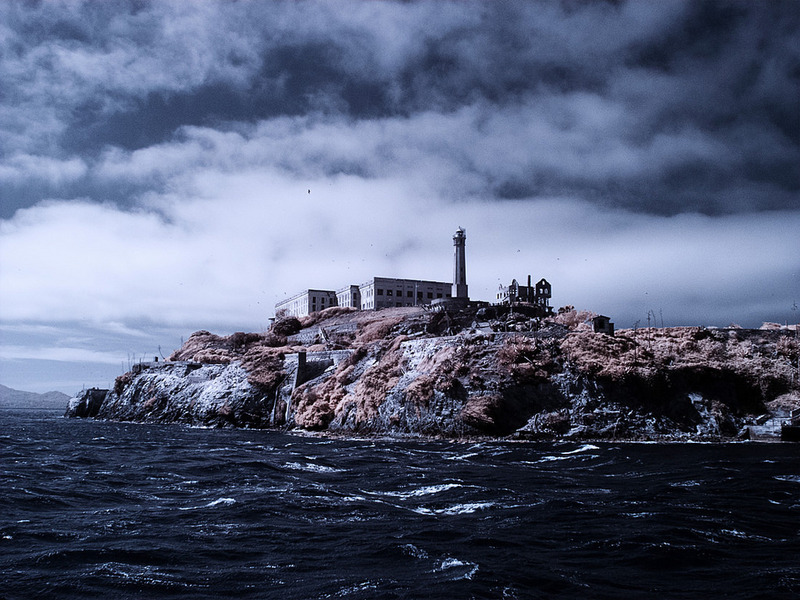 I went for 665nm for the chance to do both false colour and b/w. 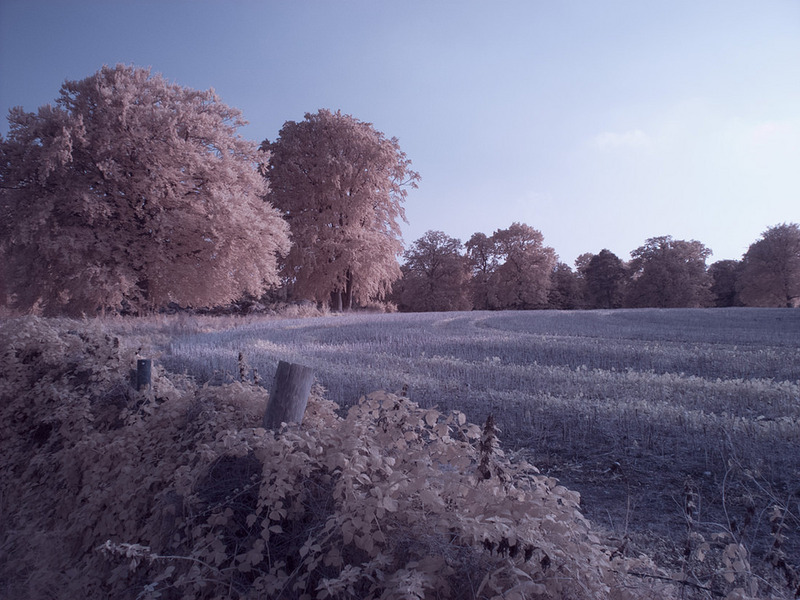 An IR image straight out of camera has a tobacco tone where you’d normally expect to see blue, and a kind of greyish tone where you would see green. And here I’ve taken the original tobacco tones but used cross-processing to accentuate the yellow in the highlights and add blue to the shadows. You can also switch from tobacco/ grey or blue/ pink to black/ white as I have done here – a copy of the first image at the top of the page but converted to b/w. 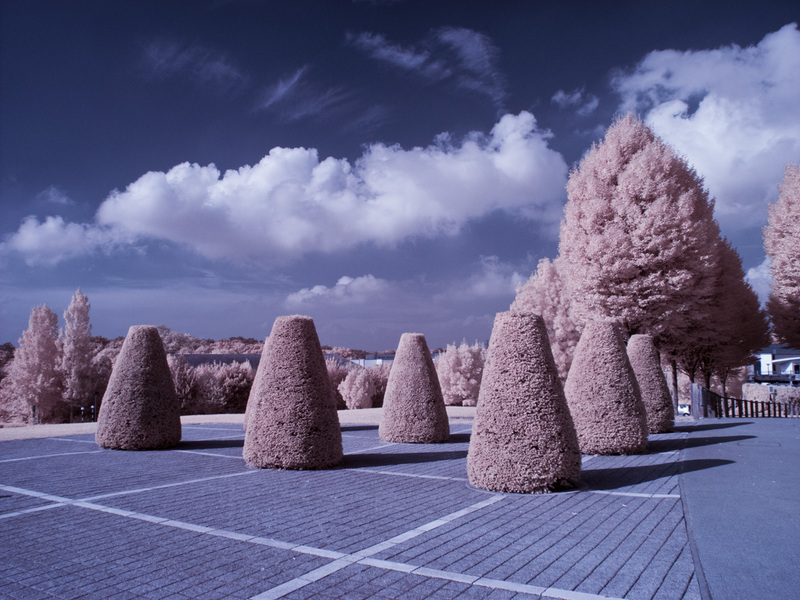 IR works well on landscapes and architecture shots. I’ve never found it work well with people – they tend to age by about 40 years – but maybe that’s due to the wavelength I’ve chosen as some people do advocate taking portraits in IR. 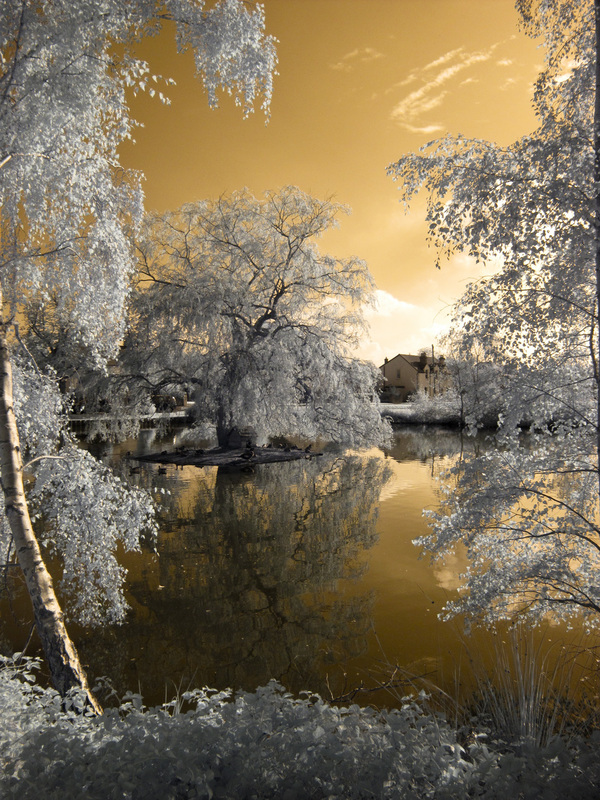 Converting a camera isn’t the cheapest thing in the World, but it certainly makes for some interesting images and if you have an old compact or DSLR sitting around and you feel like adding Infrared to your photographic spectrum then why not give it a go?